In 2013, a year dedicated to the fruits of the dry volcanic land; the magnificent beauty is accompanied by unique flavors. 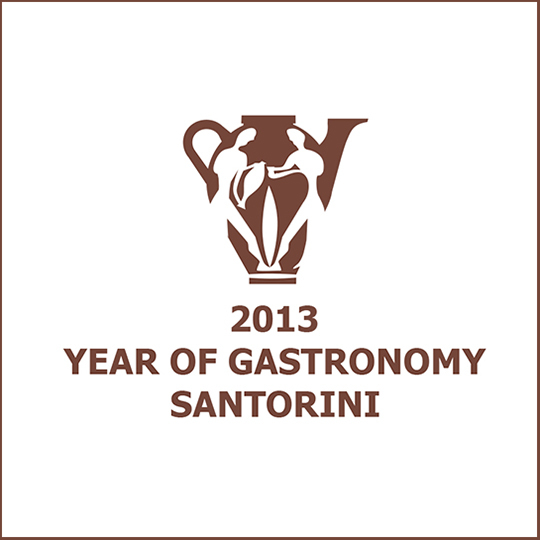 “2013 Year of Gastronomy in Santorini” is a multidimensional initiative, as gastronomy embraces all aspects of modern life in Santorini; arts, tradition, education, science and culture in general. It connects the island’s past, the era of the prehistoric settlement of Akrotiri, with the present and it highlights how special the volcanic soil of Santorini is. Unique agricultural products, innovative high-class restaurants, cozy taverns with traditional cuisine, open to visitors famous wineries, romantic hotels and special sections of local products in the shops of the island are combined into a creative scenery of gastronomic delight. The choices between specially designed menus, great wine tastings and breakfasts with products from Santorini, are inexhaustible.